Our waxing treatments are performed using the highest quality wax. In accordance with strict hygiene standards, we do not recycle our wax. 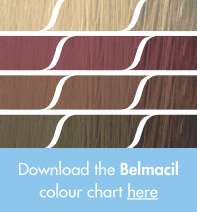 With eleven rich, luxurious colours to choose from, more colour depth, and longer lasting results, Belmacil's range of lash and brow tints brings out your individual style. Choose between blonde, black, blue/black, dark brown, light brown, honey brown, blue, graphite, violet, red, and green.